You have GOT to get this browser extension! Just Google Honey browser extension, it automatically attaches to Chrome, Firefox, Safari or IE. It can save you HUNDREDS. It automatically tries all available promo codes and stacks them when possible. (except store card offers; when tested Honey got the free shipping for Kohls but missed the extra 30% off with store card). How long have we needed this?! I must have dreamt we could use it on our phones, but, alas, Retailmenot app may still be it for our phones. 3. 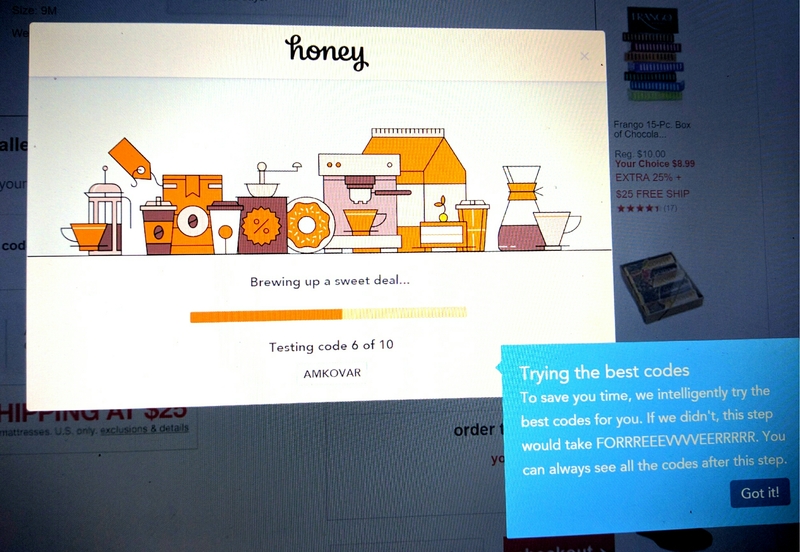 When you go to checkout, Honey pops up and starts to run all possible current codes. 5. Bam! No searching high and low and making yourself crazy.